An interview by Scott McConnell with Henry Crawford about the making of the mini series of A Town Like Alice. A paper written for a conference in Sweden about �Using The Works Of Nevil Shute In Engineering Education�. An exhibition of "Pioneers of Aviation" at the Yorkshire Air Museum was opened in March 2010. A report written by John Anderson after his visit to Cavendish Morton, one of that dwindling number of people still alive who knew and worked with Nevil Shute. An article written by Gary Swinson about his visit to the Welsh border, where he discovered the house where Sir Thomas Merton collaborated with Barnes Wallace in the development of, among other devices, the famous "bouncing bomb"
An article by our chief researcher, John Anderson, on "Nevil Shute, Sailing and 'RUNAGATE'"
A report by Tommy and Polly Thomas on their May 2008 visit to Langwarrin is included. 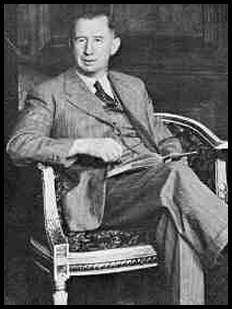 What Did Nevil Shute Norway Actually Believe? By Revd. John B. Wilcox. Dan and Zia Telfairs' "Flight of Fancy" through the Australian outback. "Richard's Ramblings - An Occasional Newsletter from Down Under"
Can you spot Nevil Shute Norway? Click here to see NSN's ticket of passage on the R-100 from Montreal to England in 1930. A Shutist's Guide to the Portsmouth area by Gerard Martin. Tips on doing research at the National Archives by John Anderson. Our adventure to Eucula and Western Australia by Andy and Linda Banta.